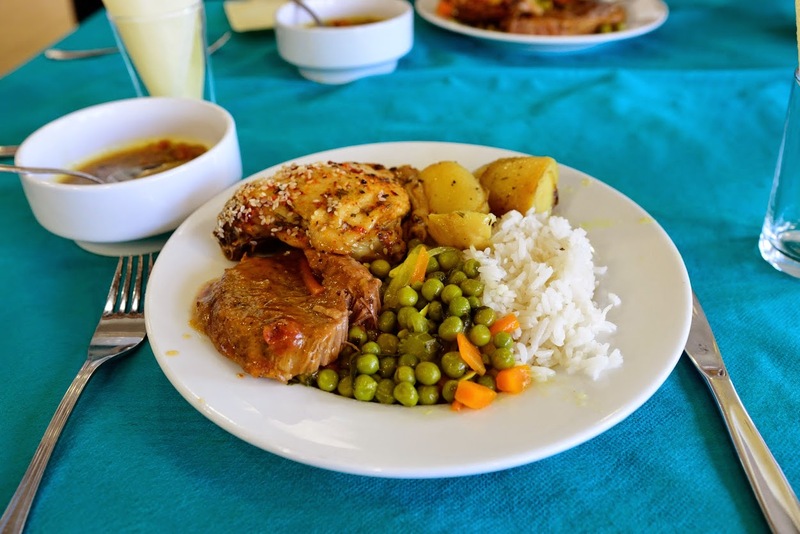 Next, we travelled north to Galilee and had lunch at a youth hostel. 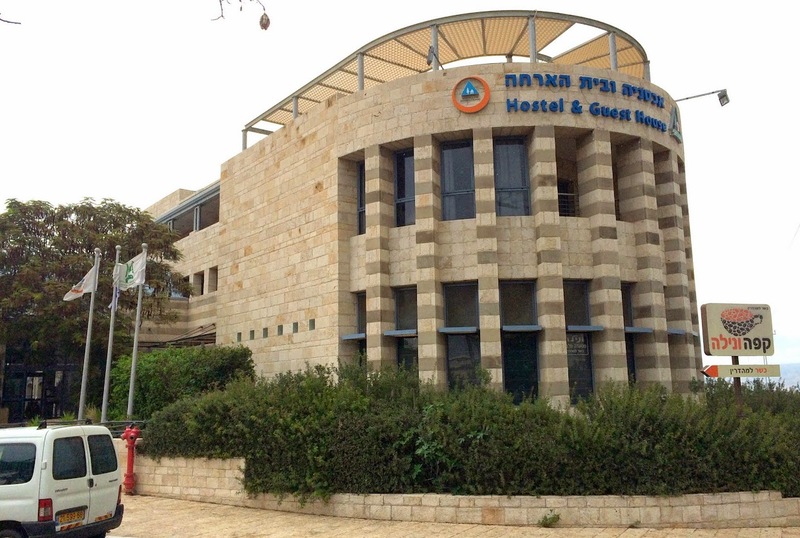 Everything is very clean and modern in Israel. 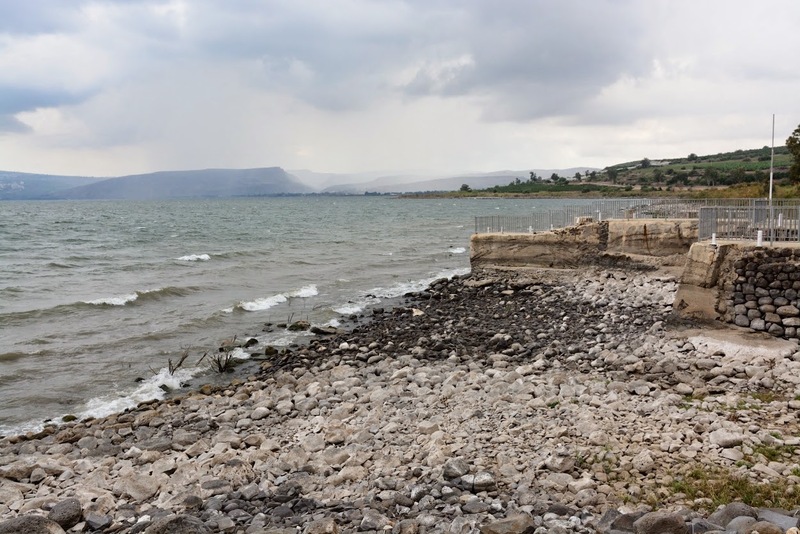 After the delicious and satisfying lunch, we were driven around the Sea of Galilee before arriving at Capernaum. (Kefar (village) + Nachum (a name of the prophet from the old testament). 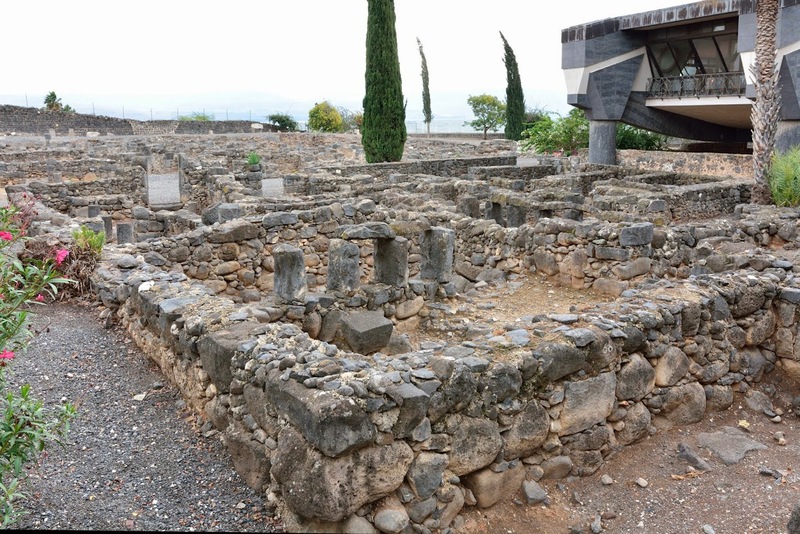 Located on the shore of the Sea of Galilee, Capernaum was the centre of Jesus’ Galilean ministry (Matthew 4:13) after He left Nazareth. 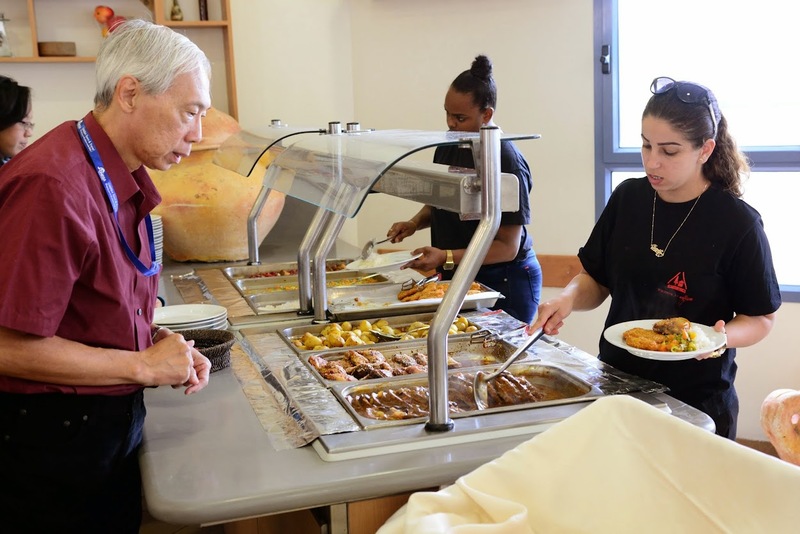 Jesus lived here for a substantial period, healing the sick, preaching in the synagogue and performing miracles like delivering a man of unclean spirits. (Mark 1:23– 26) Another miracle that was performed here was the healing of the paralytic lowered through the roof. (Mark 2:1–12). 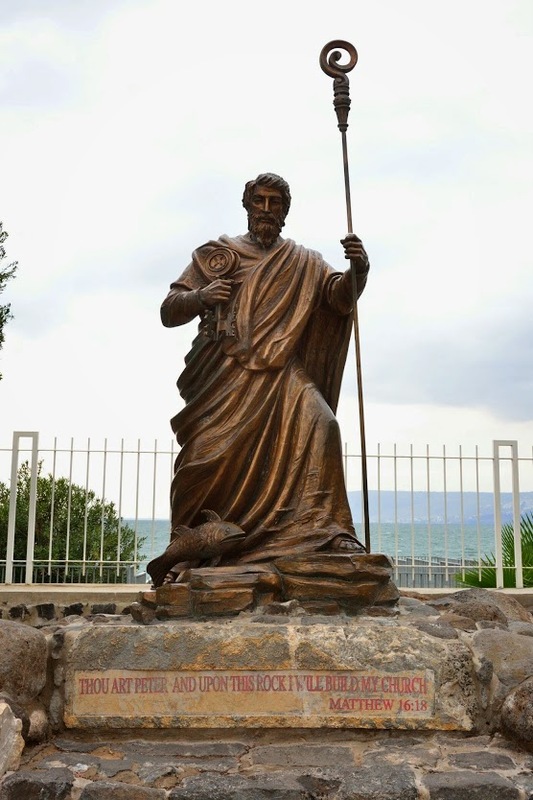 Capernaum was also home to Peter and Andrew (Mark 1:29) and Matthew the tax collector. Recent excavations are reputed to have located the remains of Peter’s house in this vicinity. 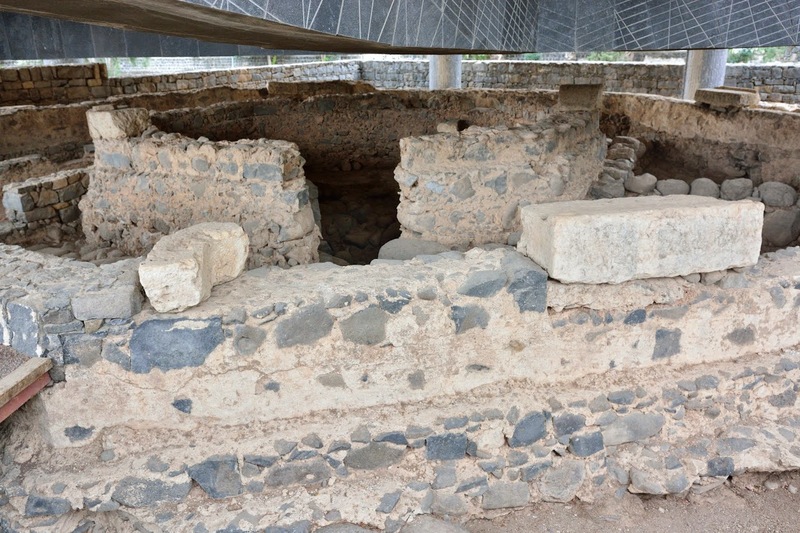 There are also the remains of a fourth century synagogue, believed to be built by the centurion whose servant Jesus healed. 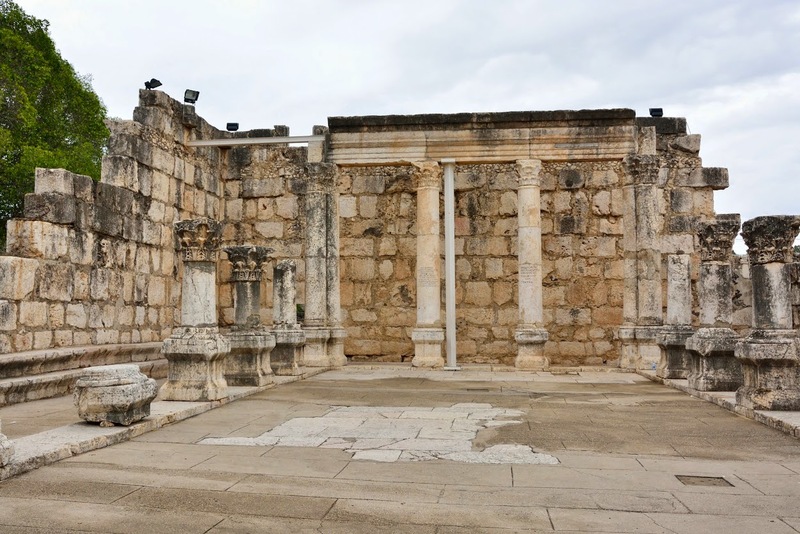 (Luke 7:1–10) It is likely that this was the synagogue in which Jesus declared Himself as the bread of life. The village then expanded in the Hellenistic period (4th-3rd C BC). 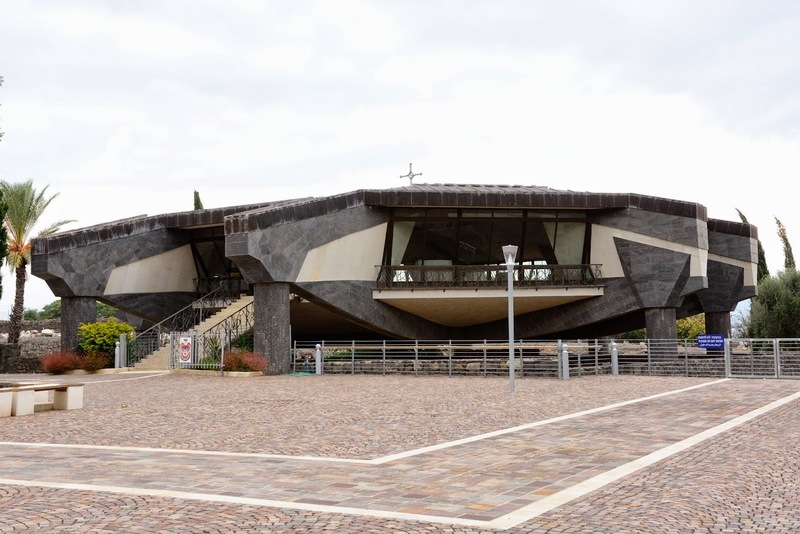 It was designed according to that period's urban design of straight lines, which was built in parallel to the main Roman imperial highway that crossed the village on the northern side. 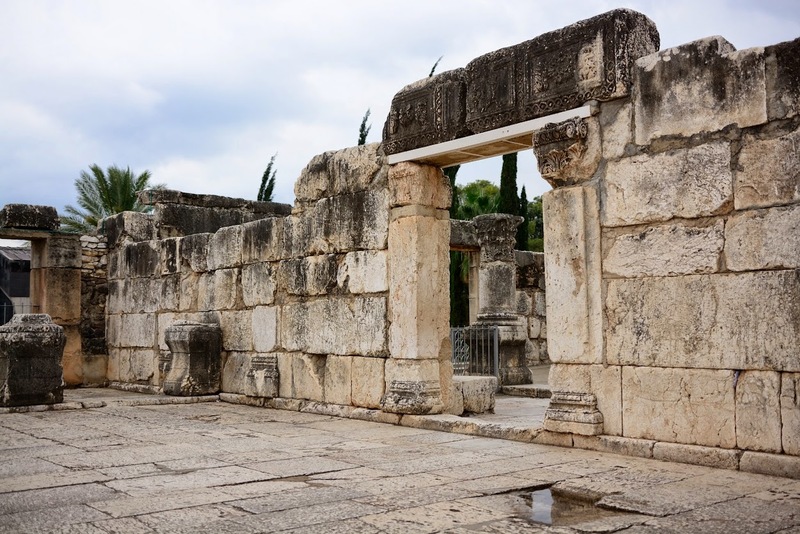 Capernaum grew larger at the time of Jesus (early Roman period, 1st C AD), and a synagogue was built in the center of the village. It reached its peak in the Byzantine period when the grand white-stone Synagogue was built (end of the 4th C AD) over the earlier synagogue. 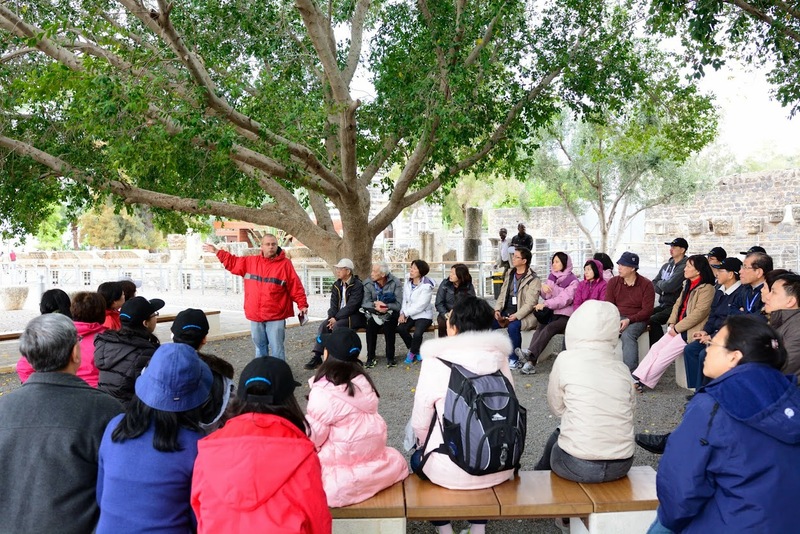 An octagon church was built in the 5th C AD at the location of St Peter's house, and serviced the Christian citizens. At that time the village covered about 60 Dunams (6 Hectares), with a population of about 1,500. Note that the excavated area that is seen today is only 1/3 of the entire size of the village. 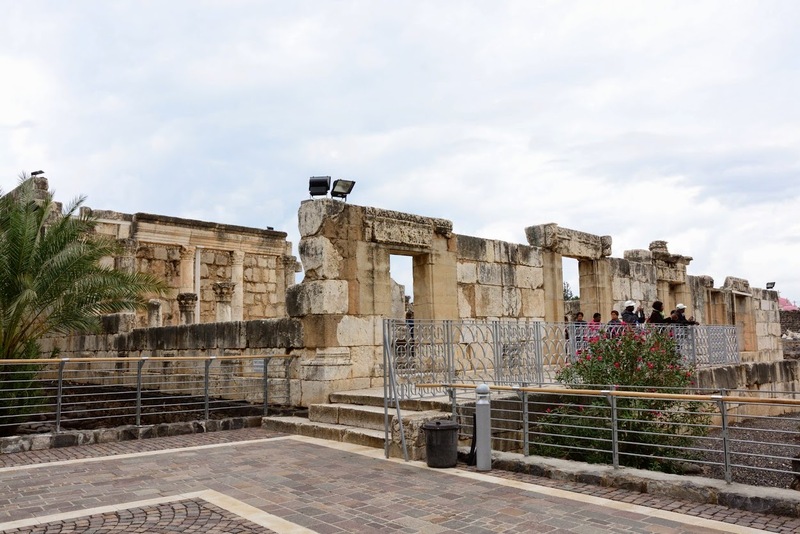 Capernaum was partially destroyed in the Persian conquest in the 6th C AD. The synagogue and church were destroyed in the Arab period (7th- 12 C AD), but the village continued to function for some time. It then was totally ruined. 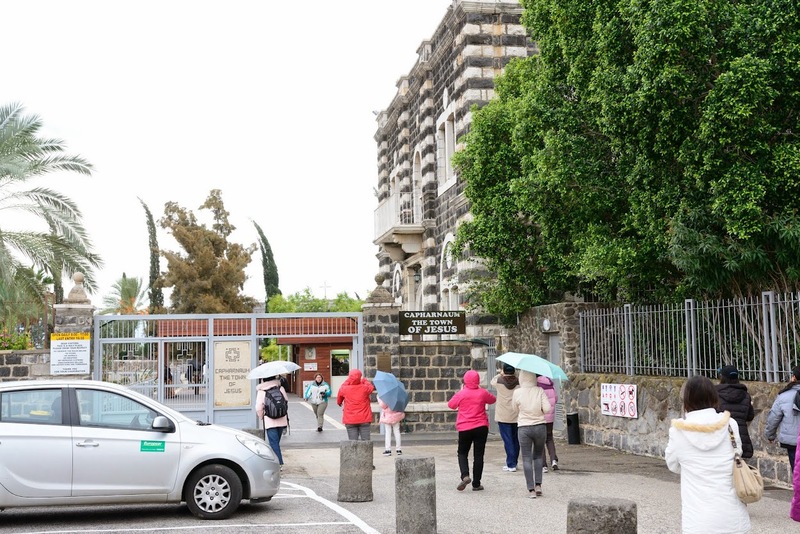 Located on the shore of the Sea of Galilee, Capernaum was the centre of Jesus’ Galilean ministry (Matthew 4:13) after He left Nazareth. 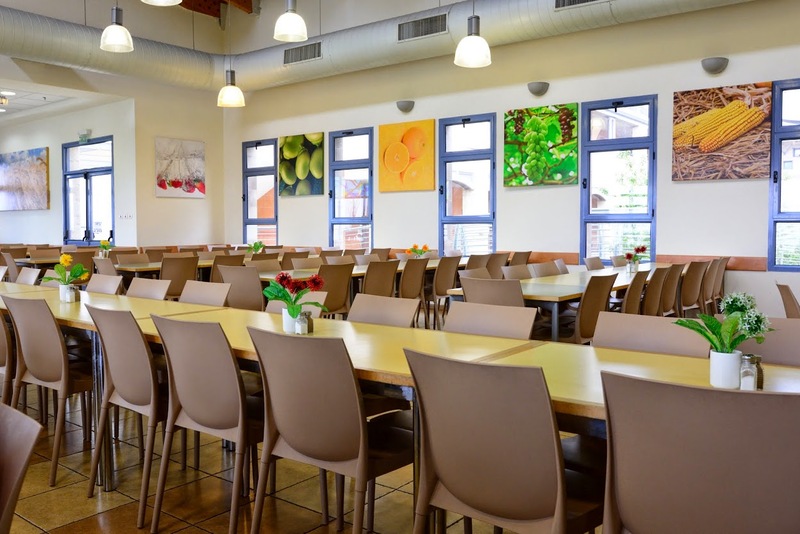 Jesus lived here for a substantial period, healing the sick, preaching in the synagogue and performing miracles like delivering a man of unclean spirits (Mark 1:23–26). 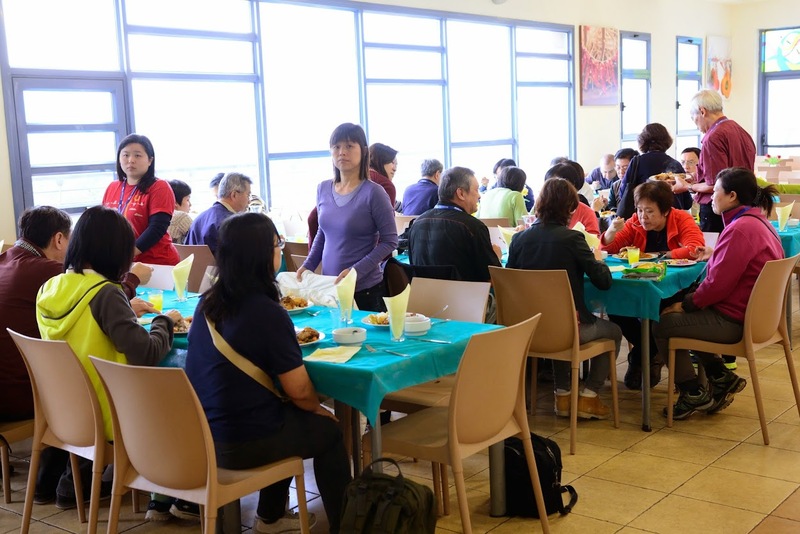 Another miracle that was performed here was the healing of the paralytic lowered through the roof (Mark 2:1–12). 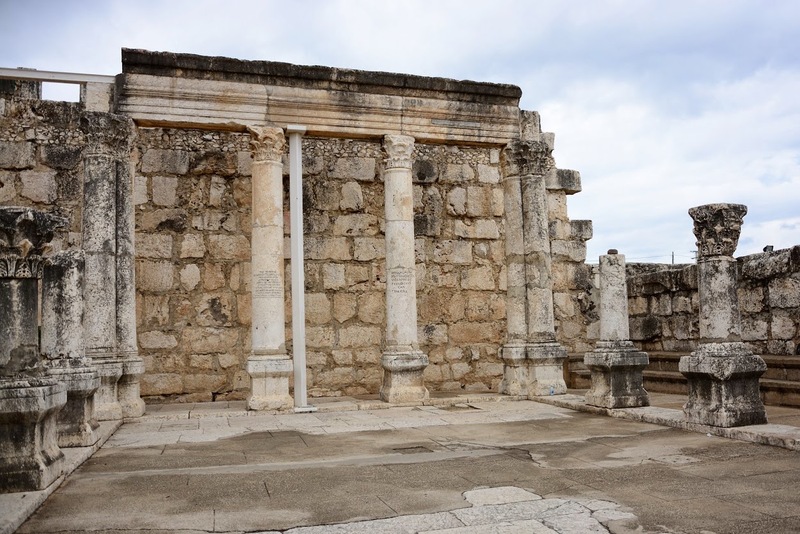 Capernaum was also home to Peter and Andrew (Mark 1:29) and Matthew the tax collector. Recent excavations are reputed to have located the remains of Peter’s house in this vicinity. 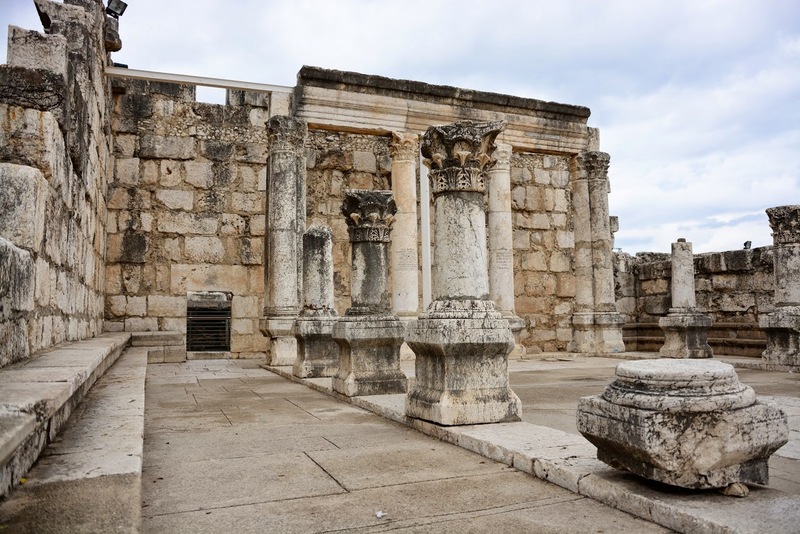 There are also the remains of a fourth century synagogue, believed to be built by the centurion whose servant Jesus healed (Luke 7:1–10). 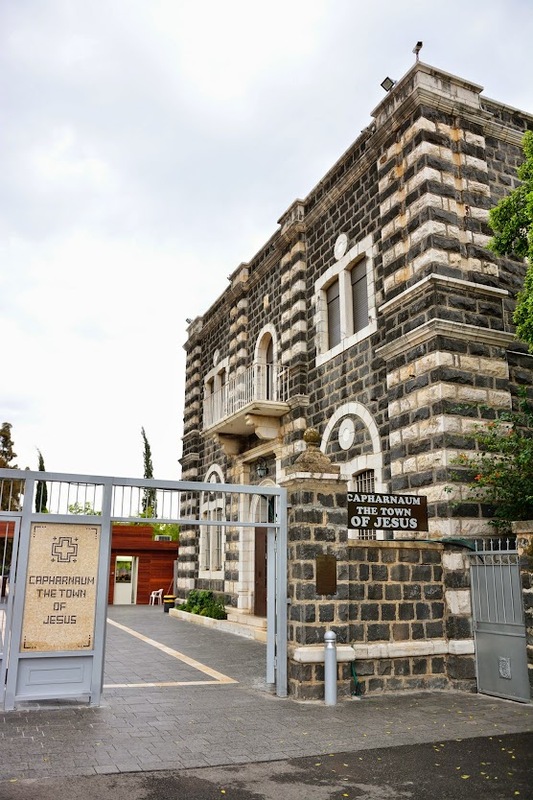 It is likely that this was the synagogue in which Jesus declared Himself as the bread of life (John 6:25-40). Wall between the main prayer hall of the synagogue and the eastern courtyard. 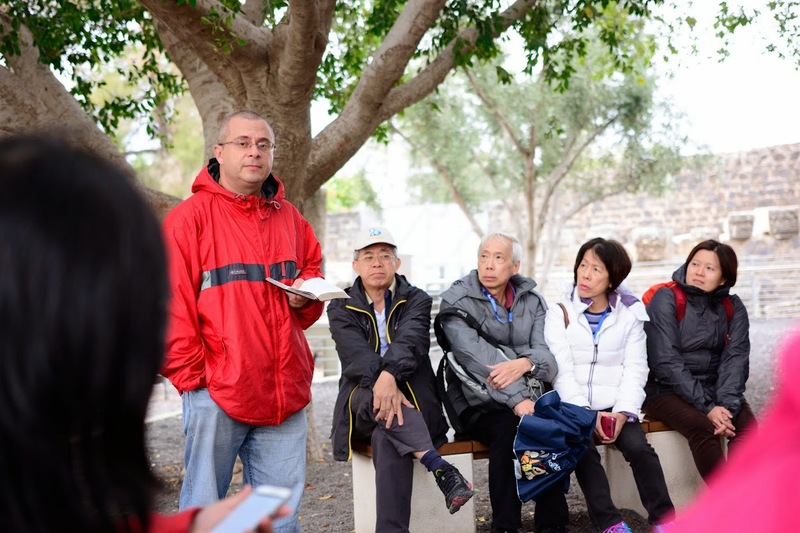 Our Messanic Jewish Guide giving bible study on why Jesus chose Capernaum for His ministry. Because Capernaum was in the ancient trade route and Jesus wanted the gospel/good news to spread quickly. Area between the synagogue and the 5th Century church. Behind is the village.